Synopsis: Kenji flies Combatra to Los Angeles to visit her fellow Shogun Richard, interrupting and further fueling a lover's quarrel between her teammate and his girlfriend Deena when she asks to stay with the couple until she straightens things out with the authorities back in Japan. 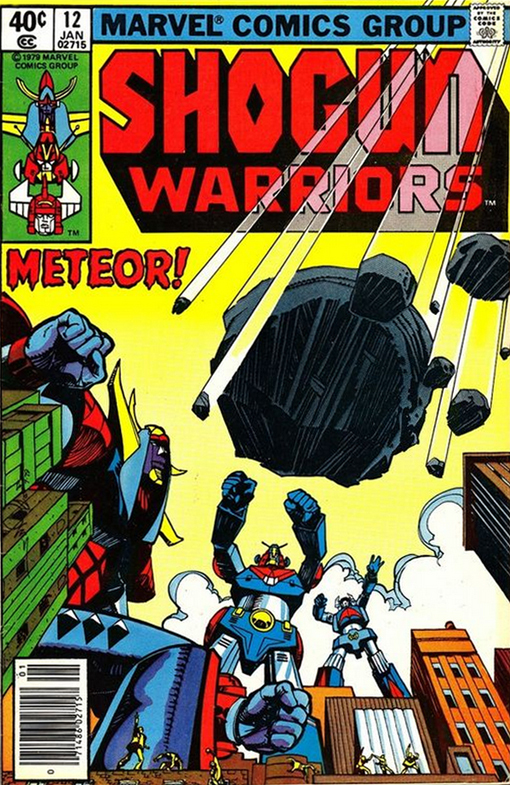 At the Shogun Sanctuary, a meteor is suddenly detected and their computer models project an utter catastrophe for the Earth, so they summon the Shogun Warriors. The team flies into space and destroys the meteor, but just as they are reveling in their victory, they discover a new threat: A space station hiding on the dark side of the Moon! As they fly to investigate, the station blasts them with an energy beam, hurtling three of the Shoguns into deep space and Dangard Ace to the surface of the moon. The fate of the team will be revealed next issue in The Demonicus Scheme!